the city is close to full recovery from Hurricane Harvey. And now, Houston is about to get a little greener, thanks to Rich and Nancy Kinder, the Houston Parks and Recreation Department, the Memorial Park Conservancy and the Uptown Development Authority. Recently, the Kinders, via the Kinder Foundation, pledged an historic $70 million to the Memorial Park Conservancy for improving the 1,500 acre urban park – the largest in the nation and double the size of New York’s Central Park. This collaborative effort will have a long-lasting impact on the community and visitors for generations to come. Connecting public and private resources and partnerships produce innovative results. Established in the 1920s, Memorial Park is the only former WWI training camp in the country that has not been completely developed. 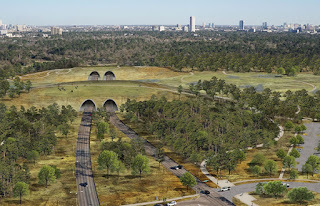 With more than 4 million visitors a year enjoying its running and bike trails, and sports facilities for volleyball, baseball, swimming and golf, it makes sense to invest in a plan that will connect neighborhoods to neighborhoods, link the park to Houston’s expanding hike-and-bike networks and provide access points to the hundreds of acres of inaccessible land. 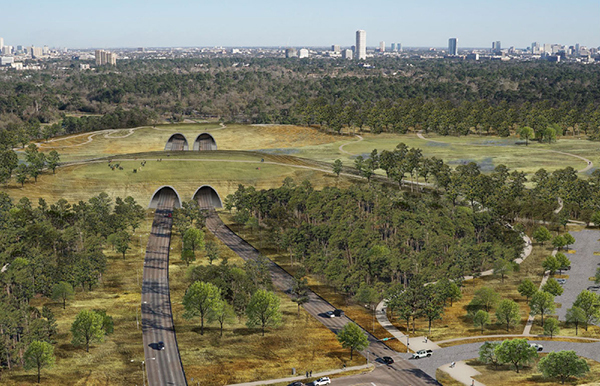 Although not part of the plan, connecting Memorial Park to Buffalo Bayou Park would mean approximately six miles of park trails extending from downtown Houston to uptown Houston – a bold concept to make this city an even better place to live, work and play. Houston leads the nation in implementing public-private partnerships to improve and care for public assets. Each member in this alliance is to be commended for transforming their vision into reality. Having the foresight to include Memorial Park to the Uptown Houston Tax Increment Reinvestment Zone (TIRZ) was critical to making this plan happen. [Unique to Texas, the state tax code allows a county or municipality to designate a geographic area a TIRZ to promote development or redevelopment of the area.] 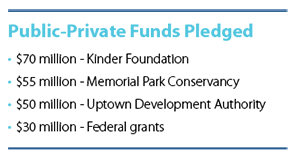 Connecting group resources of government, non-profits and private philanthropy is no easy feat, but Houston emerges as a shining star for this collaboration which, will have a lasting positive impact on the community for generations to come.